This is so true! I have a beautiful bright orange life jacket that I wear at the beach! Even though I'm an awesome swimmer, Domeek says I can't go near the water without it! That happened near where our Mom grew up. She remembers there were a lot of drownings there when she was younger. Very sad for the pup and his humans. Fiona has one and we make she always has it on. My dogs don't have them, but then we don't have a boat. If we did, they would. The first rule of boating is a life jacket on board for every person. i think this is a horrible tragedy that could have been prevented. The woman did not know how to swim yet she jumped in despite not having a life jacket. Makes you wonder. I used to think my dogs would hate wearing it, but luckily they don't! Hey there! 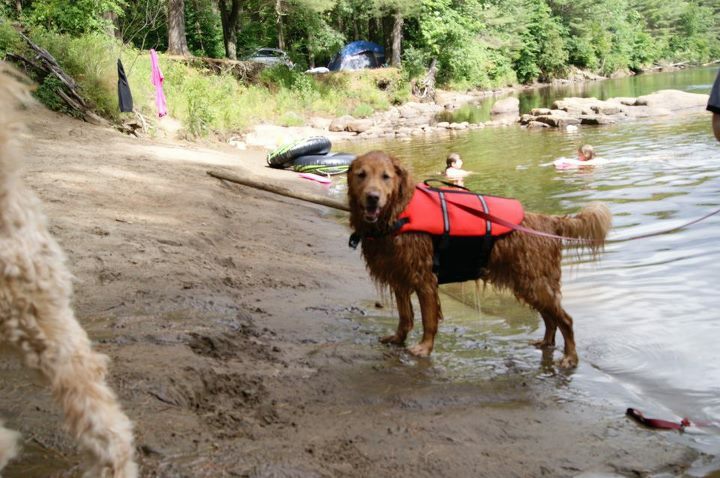 Thank you for sharing your thoughts about DOG LIFE VEST . I am glad to stop by your site and know more about dog life vest. Keep it up! This is a good read. You have such an interesting and informative page. I will be looking forward to visit your page again and for your other posts as well. Dogs are excellent swimmers when they have full use of their bodies. Injuries or tangled life jacket straps can make it much for difficult for a dog to negotiate open water. The wake from other boats and choppy conditions can make your dog difficult to spot, too, so make sure his life vest is brightly colored and highly visible. Dogs plus water equals fun--if you look after their safety first.